It’s a warm but breezy autumn day in Southeast Pennsylvania. The black walnut trees in the field behind the house are literally raining baseball-size nuts on anything foolish enough to pass beneath them, while the oak trees are leading the parade in the change of color. Even the mosquitoes seem to have bit less energy for their vampire activities at dusk and dawn. 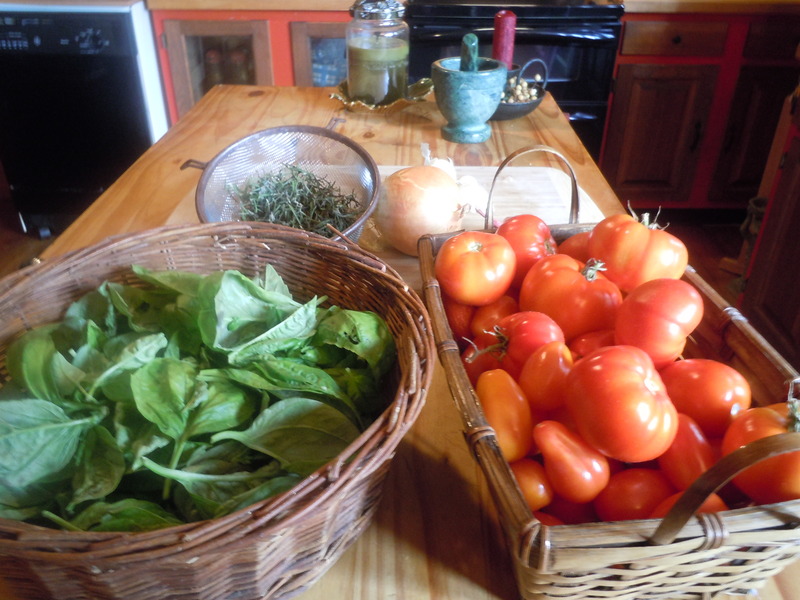 Today is my day off, and looking at the kitchen garden after coffee, I had to admit that my basil plants are exhausted from having given their all for the cause of pesto and sauces. So, with the absolute last of the green tomatoes finally ripe on the kitchen windowsill, I harvested what was left of the basil, cut their woody stems back to the ground and came inside to make soup. 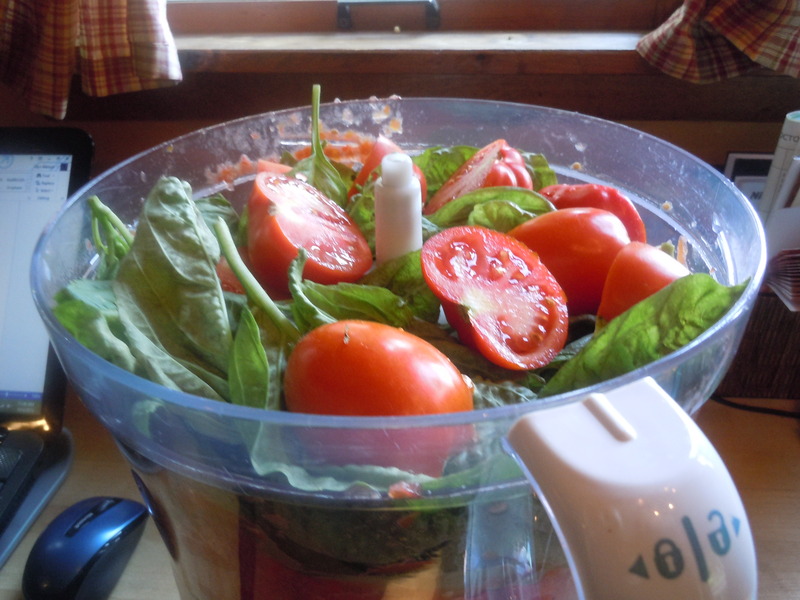 In the food processor, chop the tomatoes and basil (and rosemary if you are using it. About 15 seconds should do. In a large saucepan, saute the shallot and the garlic in the olive oil until translucent. Add the salt, pepper, tomatoes and basil. 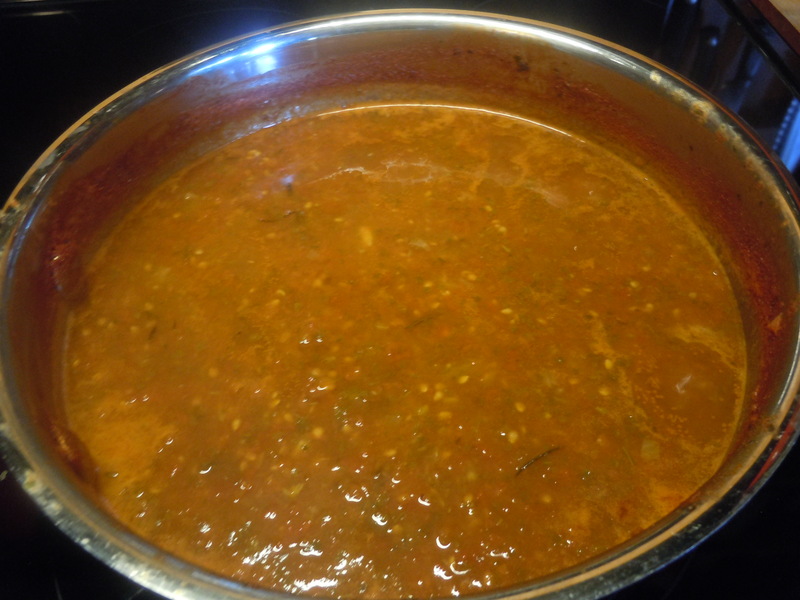 Bring to a slow boil, reduce the heat and simmer uncovered for 40 minutes. 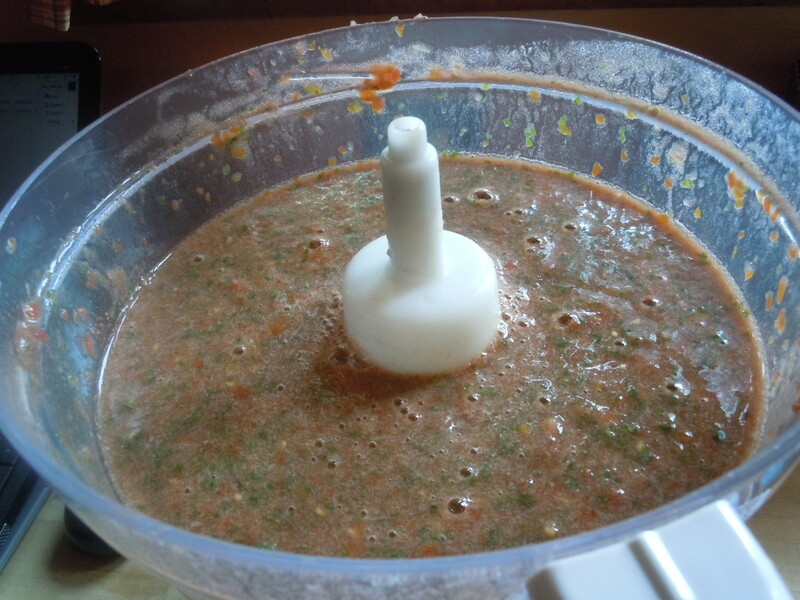 Remove from the heat and let cool enough to safely puree (with either an immersion or countertop blender.) Puree (in batches if using a countertop blender), return to the pan and let sit off the heat until you are ready to finish (up to 3-4 hours or refrigerated overnight). To serve, add the cream and reheat gently. Do not boil. 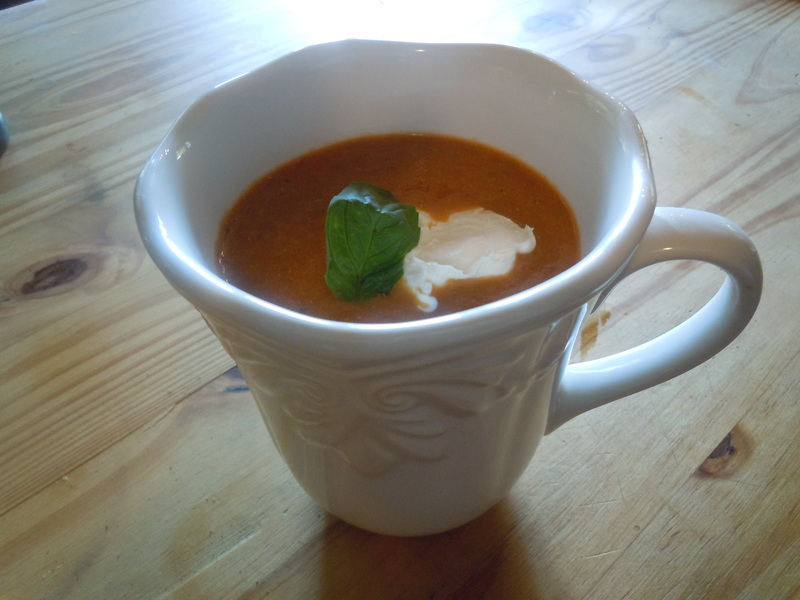 Serve in warmed mugs or soup bowls topped with a dollop of sour cream and a sprinkling of chopped fresh herbs.